Going into the trip, I knew very little about actual Dutch beer. Other than Heineken and Grolsch, I was unfamiliar with actual Nederlander breweries. The one Dutch beer I was familiar enough with was La Trappe, the only Trappist beer brewed outside of Belgium, which is brewed (I believe) in Koningshoeven, in the southern part of Holland. I did know, however, that Holland is ever so close to Belgium, where they have more breweries than people, it seems like. While there are a lot of Belgian beers available in the US, I anticipated being able to acquire some beers unavailable (or extraordinarily expensive) at home. Most prized on this list were the Trappist beers of the Westvleteren monastary, visible above. A quick tutorial on Trappist beers (if you know about the Trappists, feel free to skip this italicized section). Trappists beers are beers brewed by monks. Not just any monks, mind you–there are hundreds of monastaries all over the world which contain breweries. The Trappists are Benedictine monks of a special order. 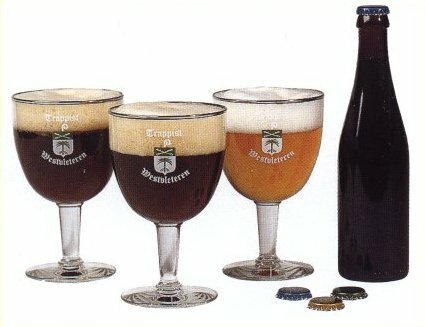 There are 171 Trappist monastaries, worldwide, and only seven of which produce beer. LaTrappe is the only Dutch Trappist brewery. 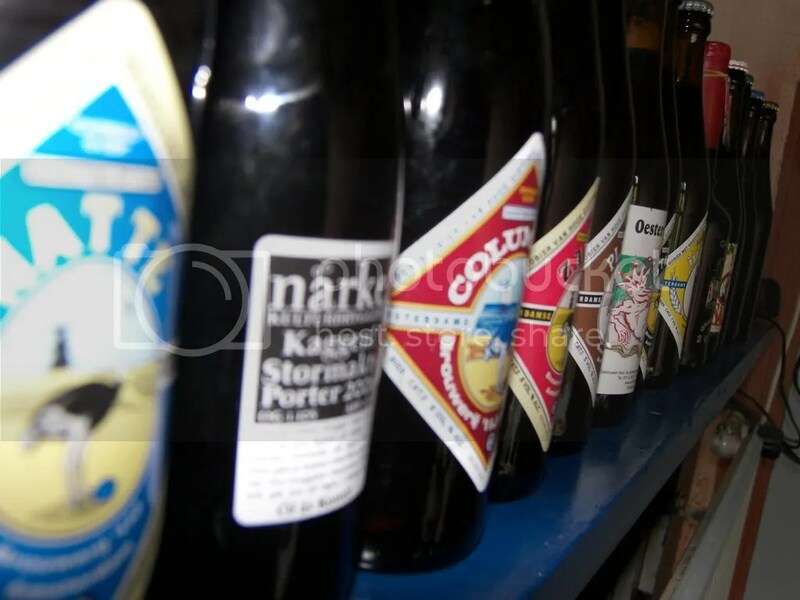 The six Belgian breweries are Chimay, Achel, Rochefort, Orval, Westmalle, and Westvleteren. All of these beers are available in the United States, though they are expensive. All of the monastaries export their beers and allow distributors worldwide to sell the beer. Westvleteren, uniquely, only brews, and sells, enough beer to support their monastary. As a result, the beer is hard to get, as if it’s bought anywhere but at the monastary, the beer is being sold without the permission of the monks. That said, you can get a six-pack of the stuff on eBay for about $60, plus an extra $45 for shipping and handling. Yikes. I knew of two beer distributors in Amsterdam, both with excellent reputations. The first is De Bierkoning, or The Beer King. I found it in a lousy little Amsterdam tourist guide, which reported over 800 beers, sold in bottles. The internet tells me that Bierkoning sold Westvleteren, so I knew I’d be able to come home with something. The second distributor is The Cracked Kettle, though I cannot recall the Dutch for the name. The Cracked Kettle, by reputation, had a lesser selection than the Beer King, but the staff was friendlier and more helpful. Our experience? Pretty much the same. We ventured to the Cracked Kettle during one of our first afternoons in Amsterdam, and met the Scot who runs the place. Very friendly, and enthusiastic about beer. We talked about what was available to us in the US, and what wasn’t, as well as what he had, that we couldn’t get. We told him that we just wanted to scope the place out, so we had an idea what we could get here, so we could come back before we left to get all the bottles we wanted. When we came back, a few days later, the Scotsman was gone, and in his place was a similarly enthusiastic beer guide. This time, a Dutchman. Both gave us honest answers to our questions, with equally honest assesments of any beer we happened to be looking at. We never got the sense we were “being sold”, but we found more interesting beers to buy while we were there. The Beer King, meanwhile, had a larger selection, true to their word. However, in all the time we spent in there, we were not spoken to by anyone, except the clerk who rang us up. Of course, the clerk did a fine job of puffing up our egos (“Wow, you guys know your beer.”), but still, the experience wasn’t nearly as pleasant as The Cracked Kettle. As to our haul, here are two pictures of the beers we brought from Amsterdam. Between the two pictures, you can see just about every bottle, and fear not, we’ll give you a little bit of a run down. 4 Westvletern 12 – The bottle without a label, but with a Gold Cap is the Westvletern 12. It’s a quadrupel, so it’s probably sweet, and it’s certainly high in alcohol content. We’ll let it sit for a few months, and then give it a try. Try to let as much of the sugar disappear as possible. 4 Westvleteren 8 – The bottle is just like the Westvleteren 12, but with a Blue Cap. The Beer is a dubbel, which is similar to the quadrupel, albeit lower in alcohol and not as sweet. A more immediately drinkable beer. 4 Westvleteren Blonde – Same kind of bottles again, label-free, and these are the bottles with the Green Caps. They’re not a blonde ale the way Leffe Blonde is, but rather, just a pale ale. A session beer, almost, at 5.8% alcohol. 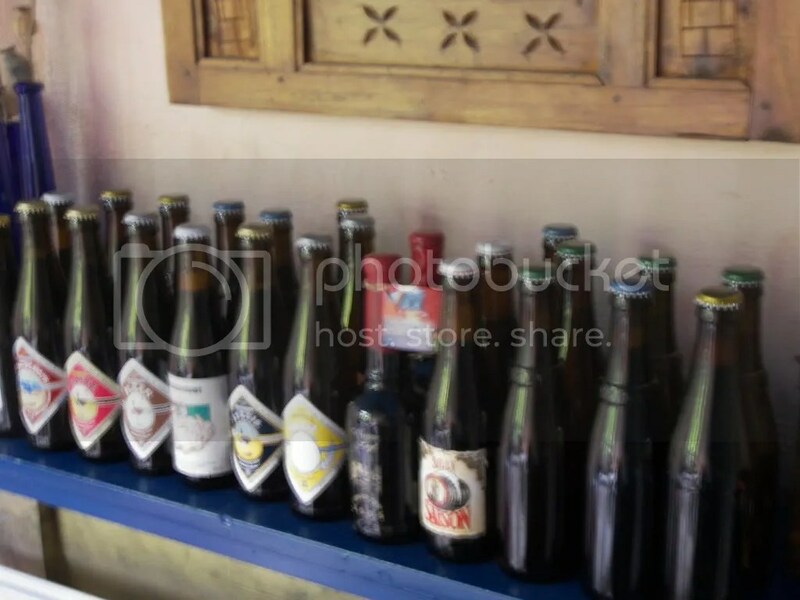 The bottles with the diamond shaped labels are the IJ Brewery beers: Natte, Zatte, Columbus, Y-wit, Plzn, and Struis. There are 7 total IJ bottles. Almost in the middle of Picture Number Two, and barely visible in Number One, are two bottles of Nieuw Ligt Grand Cru. It is, apparently, a barley wine. The bottle informs that the beer will be perfect in 2010 for drinking, though the beer is, apparently, delicious at the stroke of 2008. Between the Nieuw Light and the Westvleteren are two bottles of Silly Saison. This beer comes from the French speaking part of Belgium, and is pronounced like the letter “C” and not the word that means humourous or goofy. The white labeled beer thrust between a couple of IJ Bottles is Oesterstout, pronounced Oyster-stout. The beer is filtered through oyster-shells, but according the the friend Dutchman who recommended it, there are no oysters to be tasted. I’m confident the beer will be tasty, as the same brewer makes Zeezuiper, a very tasty tripel. The final beer, which is easily visible in Picture Number One, and almost out of Picture Number Two, is Narke Kaggen! Stormaktspater Porter. This beer is brewed by just a couple of people in a small town (small city?) in Sweden. It’s a very, very rare beer which a very high reputation, and I was not expecting to find it in Amsterdam. That said, I’m absolutely delighted to have it two bottles of it (two of the last 3 bottles in all of Amsterdam), eagerly awaiting my consumption. will go the whole wide world, go the whole world to find her. Mr. Thursday’s Curious Mechanism · An experiment in everything.